Bonded coatings are relatively soft compared to many galvanic and vacuum-deposited layer systems. This property very advantageously supports the application of tribological systems. However, intense shear forces may cause the bonded coating to be removed from the effective gap of its friction partners and to cease functioning as intended. Product longevity may thus be limited by this removal. The addition of low-concentration ceramic particles to second-generation lubricating systems provides a significant increase in load-bearing capacity and wear resistance. 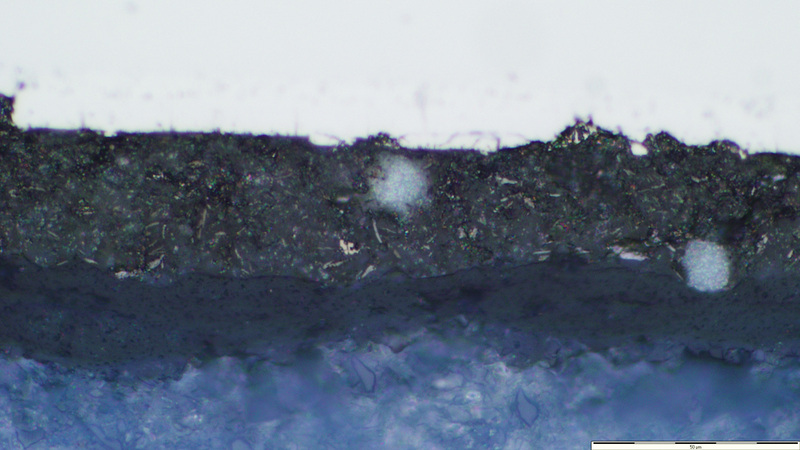 Friction properties behave virtually unaffected by the ceramic additive component. Third-generation bonded coatings represent the latest development stage of dry lubrication. We will introduce you to various coating systems at our booth and gladly advise you on all tribological questions. In various case studies, we can introduce you to solution applications of ceramic-reinforced sliding coating systems of generation 3.0.